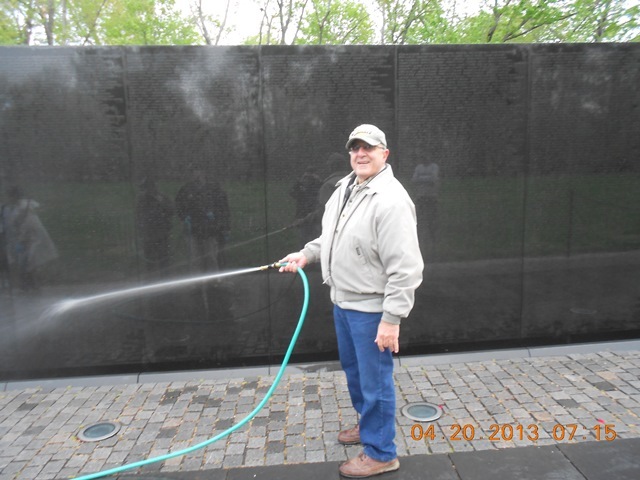 The Vietnam Memorial (The Wall) was given its monthly bath Saturday April 20, 2013. 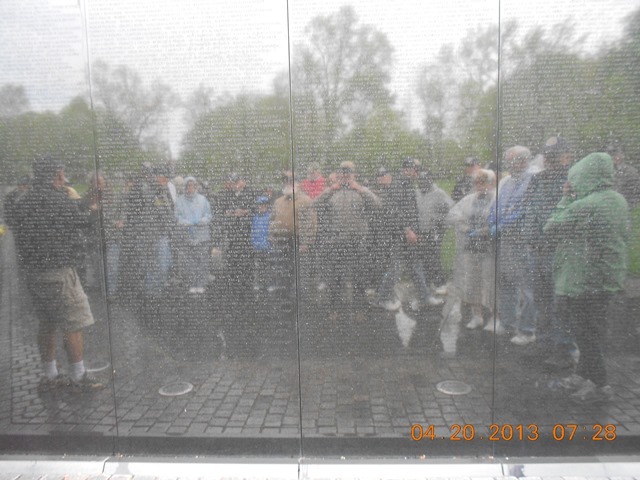 Participating was a Vet group from Michigan and the Silver Spring, MD., Viet Nam Veterans of America including our buddy Charlie Shyab. 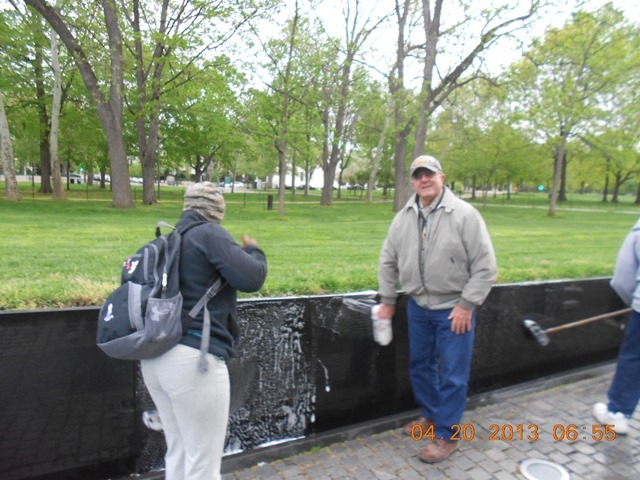 The wall was thoroughly scrubbed and completed by 8:00am. 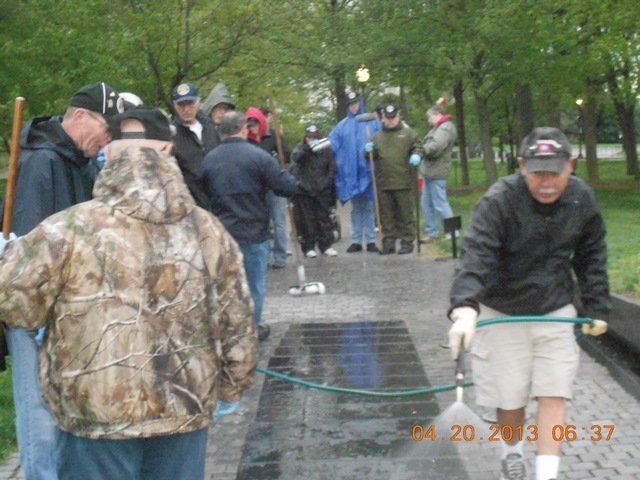 Wetting the walkway to get ready for the cleaning. 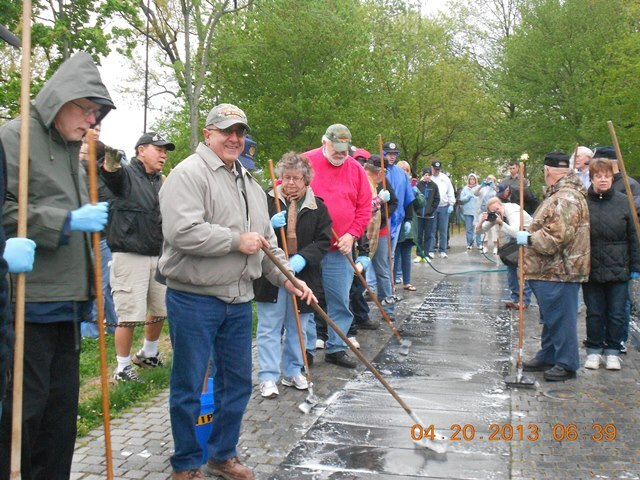 Cleaning panel 52 E of Company C 1/22 of 4th Inf. Div. 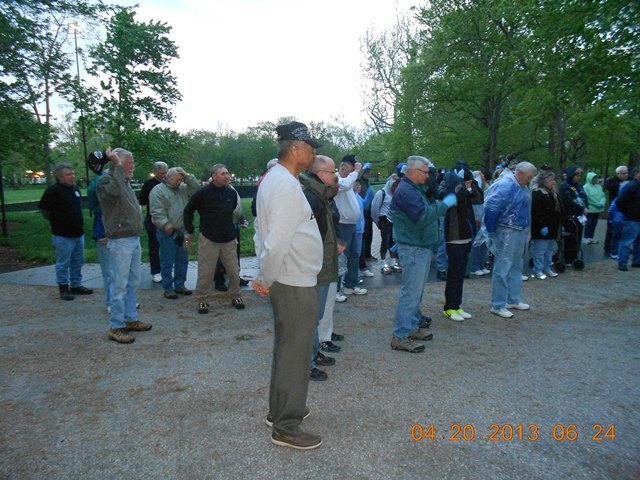 It was my privilege to Honor and Respect those we lost on April 28, 1968. Charlie was drafted to hose the soap off after the cleaning.